It was quite dreary today, with lots of rain and high winds, so it was the perfect day to make a bright and cheerful birthday card. This is for a friend who loves alcohol as much as I do so I broke out some neglected Paper Smooches birthday stamps and drink dies. 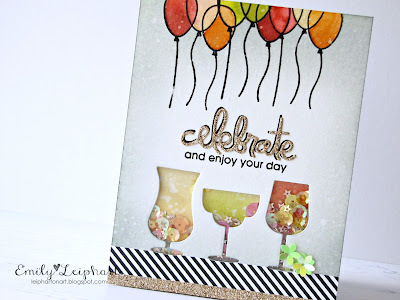 I started at the bottom of this card, die cutting the Free Spirits glasses and using daubers to sponge in the background colour and splattering with water. 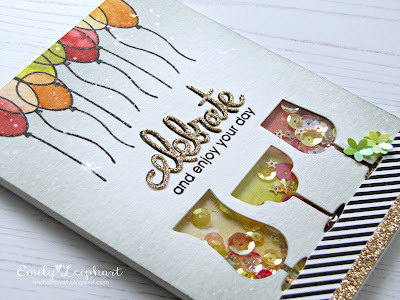 Next, I heat embossed the Birthday Bash sentiment and die cut 'celebrate' from gold glitter cardstock using the Birthday Words dies. I glued the die cut word over the stamped word, leaving a bit of black as a shadow. 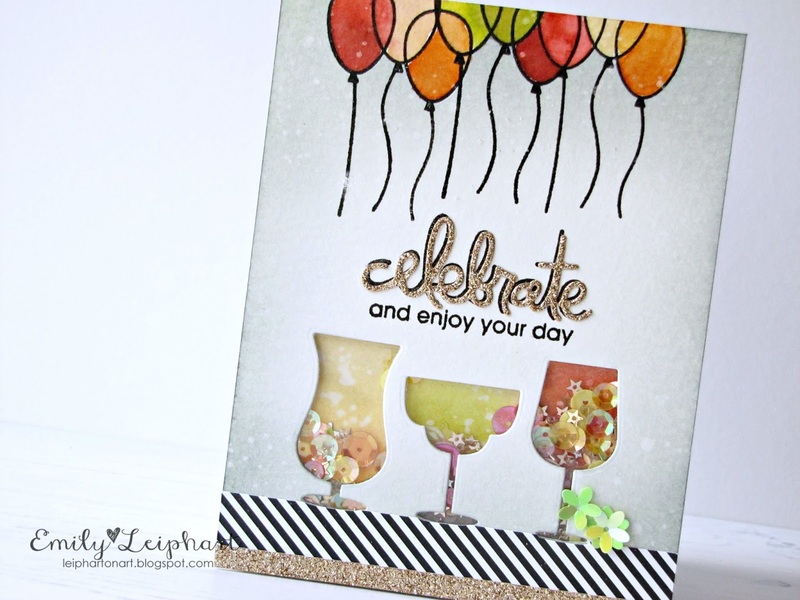 I also heat embossed the Birthday Bash balloons and watercoloured them with the same distress ink colours I used for the drinks. 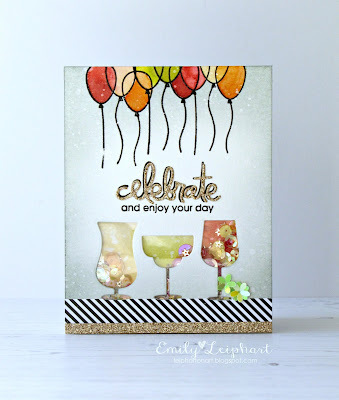 I splattered shimmer spritz on the top panel and added the various sequins, striped paper and a gold strip to finish. A totally fun card! Lots going on here, but everything works together perfectly. 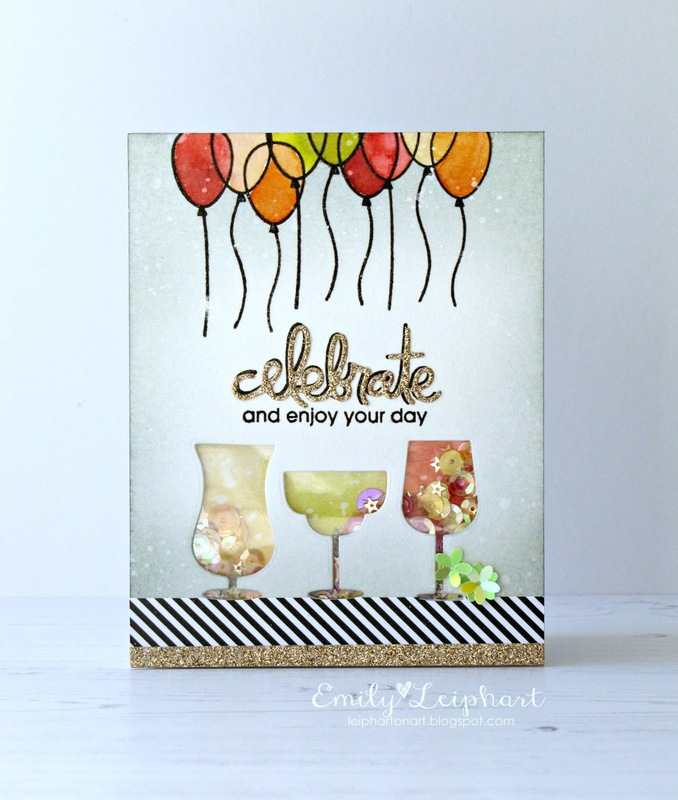 Fun shaker element and the balloons look amazing!